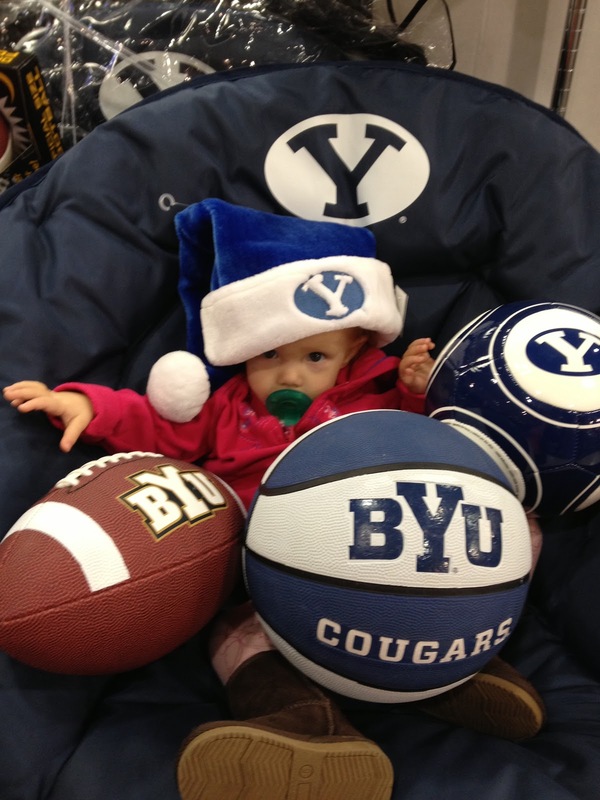 Visit to the BYU Bookstore. 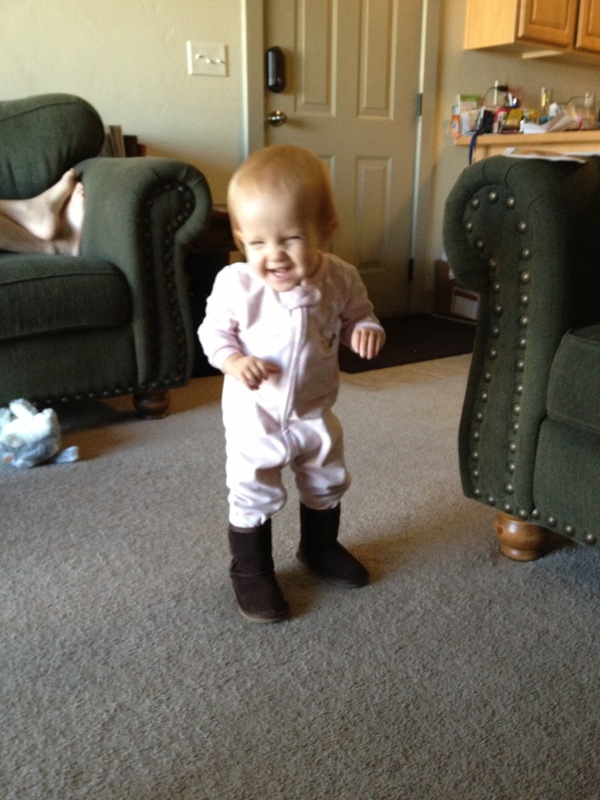 She's a true Cougar. 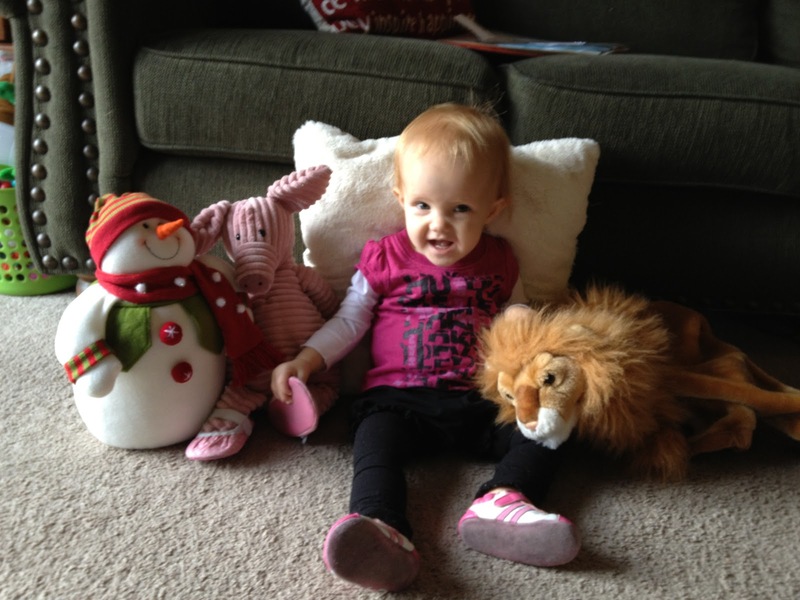 Watching Baby Signing Time with her best friends Snowman, Piggy (notice the shoes), and Lion. 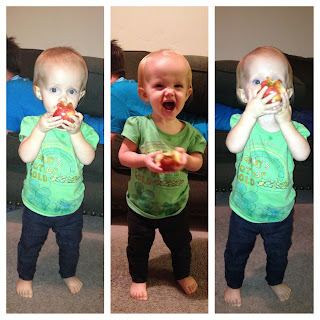 This girl loves eating apples all by herself. 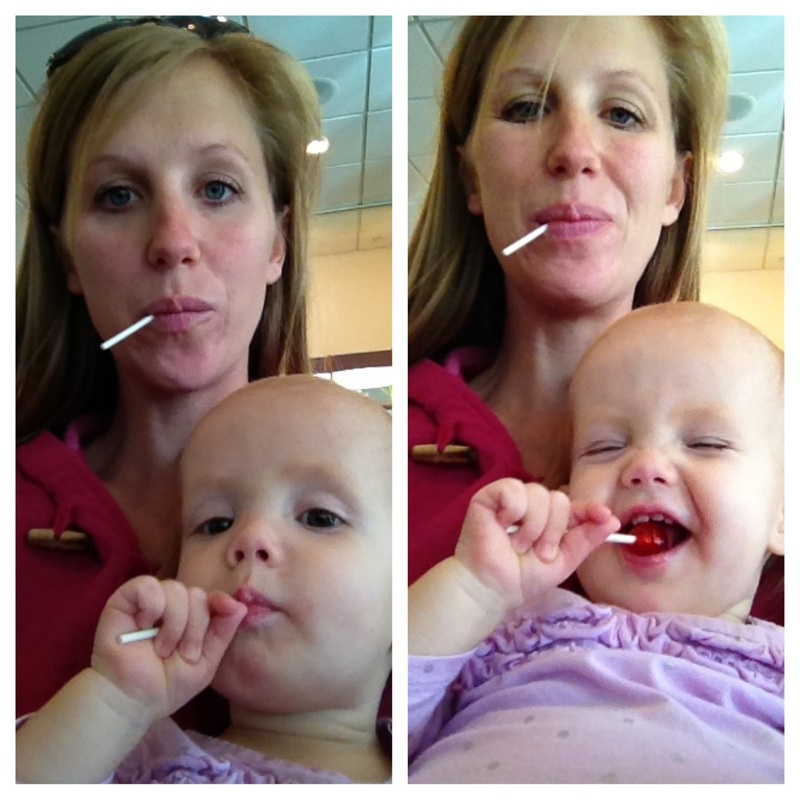 Passing time in the waiting room while Sister Coleman had her eyes examined. We went the Riverwoods with the Ellis's for the annual lighting event and stopped in at Provo Beach Resort. 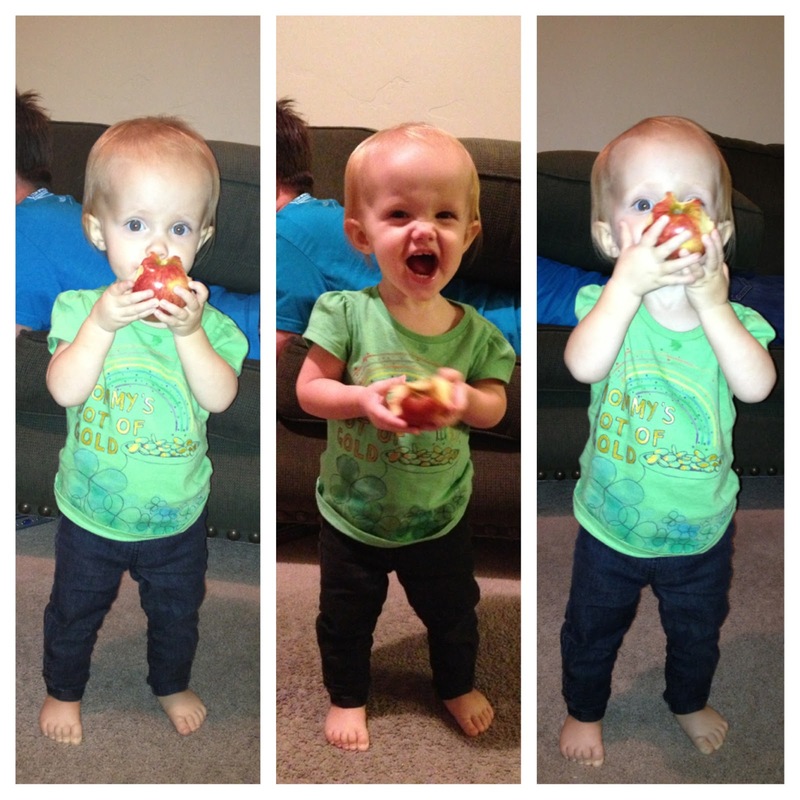 Kaylyn tried bowling for the first time. 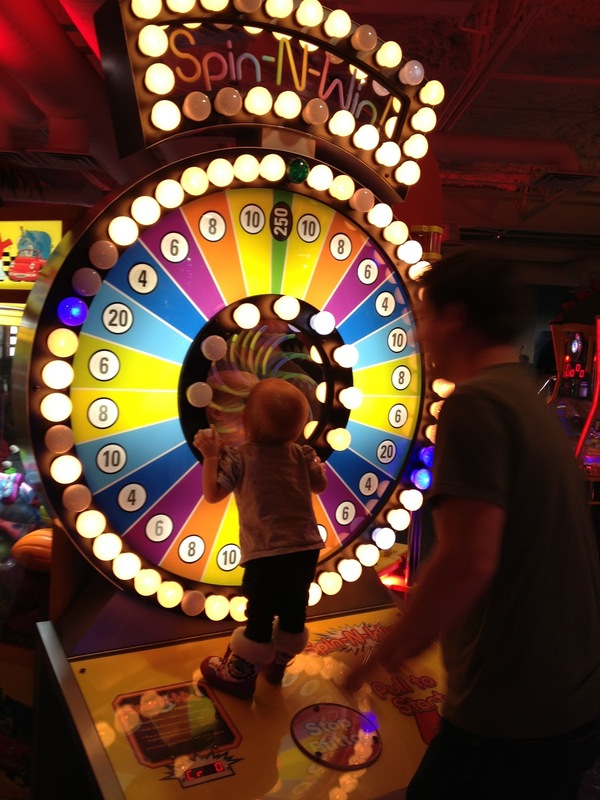 She obviously loved the lights on all of the arcade games. Dad found a game that only cost 13 cents to play and tried it once and won 75 tickets!